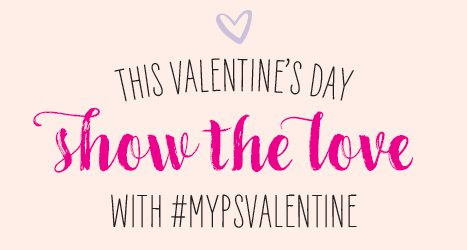 Starting January 15th through Valentine’s Day on February 14th, tag images of how you show your love using Paper Source products with #MyPSValentine. You’ll be entered for the chance to win a spot on our social pages as well as a $50 Paper Source gift card. One lucky winner will be chosen every Sunday, starting January 22nd, and there’s no limit to how many times you can enter! Plus, on Valentine’s Day, a grand prize winner will be chosen at random to receive a $500 gift card to Paper Source. In need of some inspiration? We’ve been busy D.I.Y.-ing Valentines with some of our lovely new products. 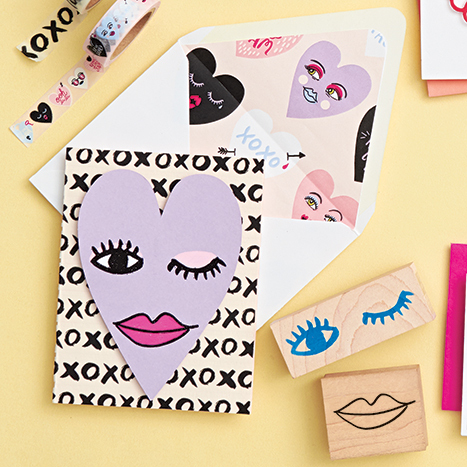 Pick your favorite and start crafting to your heart’s content, or snag one of our Valentine’s Day kits and put your own spin on it! To enter for the chance to win every week, tag your original Instagram photo with #MyPSValentine between 12pm CST every Sunday between Jan. 15 and Feb 14. All valid entries featuring ways you can show your love using our cards and kits received between 12pm CST on Sunday and 8pm CST the following Saturday will be eligible to win. Winners will be selected at random each Saturday after 8pm and the winning image will be regrammed on our social channels the following Sunday by 12pm. Winners will be contacted for their mailing address where they will receive a $50 gift card Paper Source! One Grand Prize winner will be selected at random on February 14th from submissions received between January 15th through February 14th and will receive a $500 gift card to Paper Source. Find full contest rules here.